WARNING: This did not work. It succeeded, without error, but the card did not work. There will be a new blog post soon. Yesterday, a new LSI SAS 9201-16i arrived. I bought it on eBay from a supplier in China and paid for expedited shipping. I offered US$250 for their $338 listing and it was accepted. Shipping was another $30. It arrived 6 days later. Why do I need one? 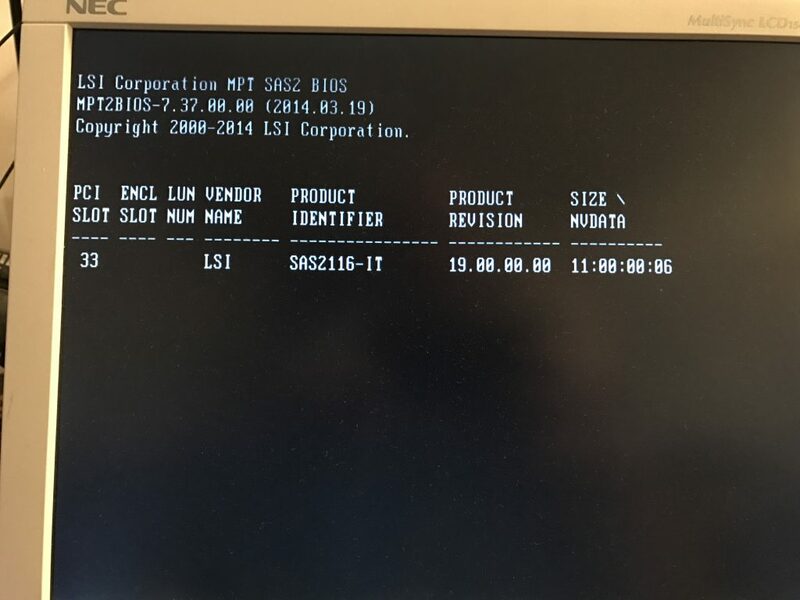 The system in question (hardware described here) has an LSI SAS 9211-8i. The drives are filling up. I need to add more, but all the slots are full. I’ll swap this new card in for the old card. This time, I will use FreeBSD 11 and the new mpsutil utility. Well, that was the plan. I wound up using sas2flash. I know it’s in IT mode because I compare the output here with my previous blog posts. The important difference is I see HostDisc here, not IR, in the list of IOCCapabilities. As it happens, having the card already in IT mode is a big deal. To go from IR to IT, you need to erase the firmware. You cannot flash IT over IR. I assume it is a safety feature. While carrying out the tasks below, I rediscovered the above point in one of the blog posts listed above. That point turned out to make things easier for me. The Firmware Revision is 19.00.00.00 and matches what was displayed on the screen during boot. There are spots for 16 devices, which means this is indeed what I needed. This may be related to Mark’s situation. He was burning from IR into IT on an LSI SAS 9211-8i (the same card I am replacing with this new card). Because of that, I went with sas2flash and did not attempt mpsutil. I wish I had, just to see. Mark was flashing from IR to IT mode; I was not. I should have tried mpsutil. That MSDOS/Windows file is not an error; the firmware for the card is contained in that zip file. Here is how I managed to upgrade the BIOS. Ironically, the card was already on the latest BIOS. Notice the extra output (i.e. Devices and below) not present when I ran this command with the original firmware. I wonder if that would have worked the first time. I will report back after I have this card in use. 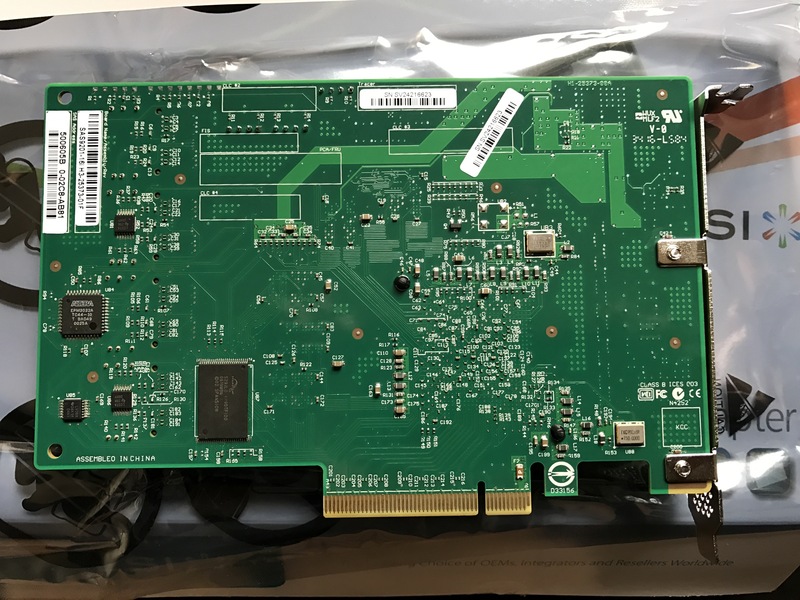 I see in your followup that you managed to flash it successfully, but one thing to be aware of when buying cheap HBAs/network cards from China – some are fake. See, eg. this thread on ServeTheHome. 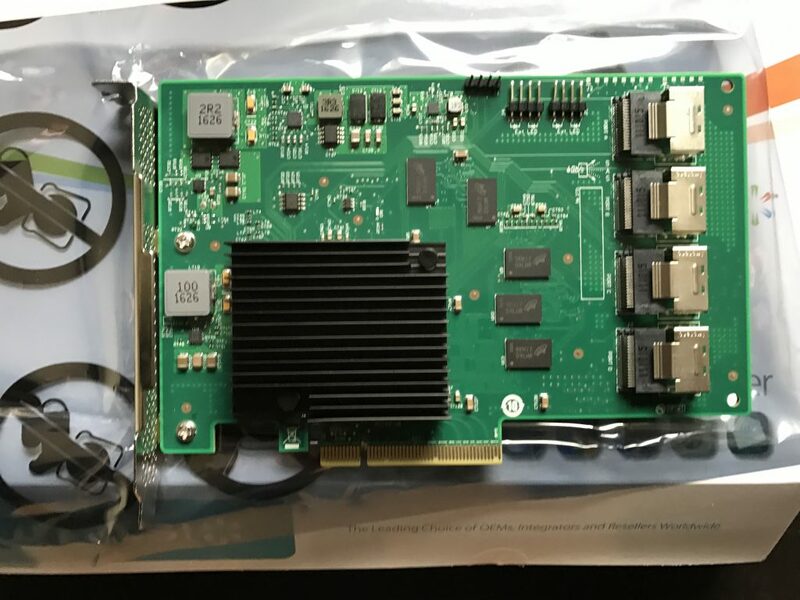 For this reason I tend to prefer used system pulls when buying cards like IBM M1015s/M5015s, Dell H200s and Intel i350-based network cards. Those are very often clones with questionable hardware quality. I only just noticed your comment. That card is still here, and it works. I could put it up for sale.